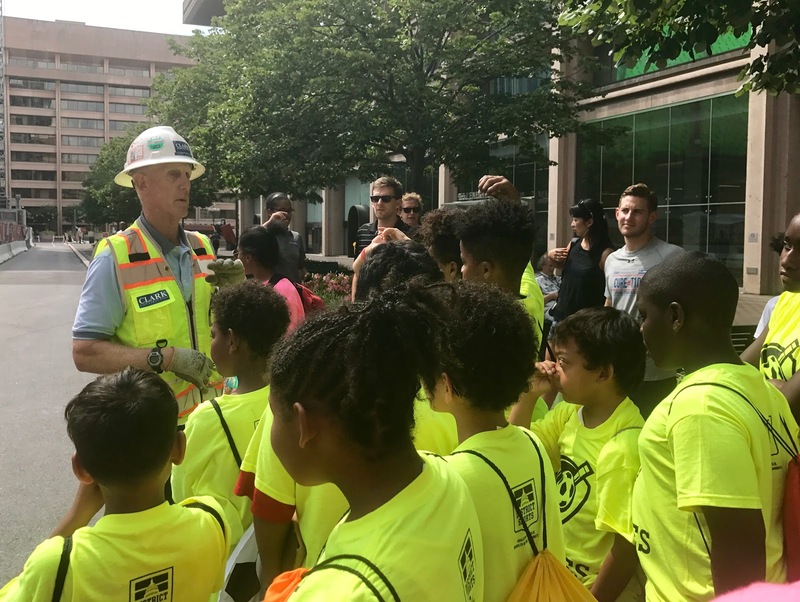 L'Enfant Plaza will soon be home to the International Spy Museum, and our Truesdell campers had the opportunity to check out the new site thanks to Clark Construction. The excited campers spent the first part of their field trip hanging out with a couple of Clark employees that gave some fun facts on the new museum. The kids also learned about other notable buildings in the city that were built by Clark. The Verizon Center, RFK Stadium, Nationals Park, the National Museum of African American History, and the list continues! All the campers were amazed to learn about all the cool projects Clark has been a part of over the years, which served as inspiration for their fun activity ahead. Everyone's creative skills were tested with the task of designing unique museum ideas and presenting their final models. 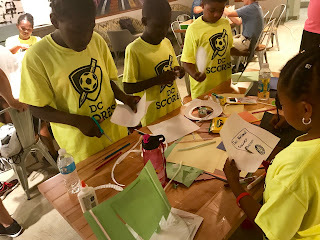 Sports was the big theme as the majority of the groups designed soccer museums. 9-year-old Kiomara was very excited to present her group's National Soccer Museum. "It will include all the best soccer players. Messi! Ronaldo! Maradona!" said the eager camper. There was, however, one that stood out from the rest with their innovative idea, the National Candy Museum. This concept grabbed everyone's attention, including some of the Clark employees that were big fans of the free candy bag idea. Next up the kids received a visit from the site's superintendent, who talked to the kids about his responsibilities and what goes into building the new spy museum. "It was great having the kids out here," said Stephanie Emore, an engineer for Clark. "For those that were here last year, it's nice for them to see how we started from nothing to a full building now." Finally, is there any other way for DC SCORES to end a fun-filled day than with a soccer game? The Clark employees joined the kids on the field to conclude another great week of summer camp. 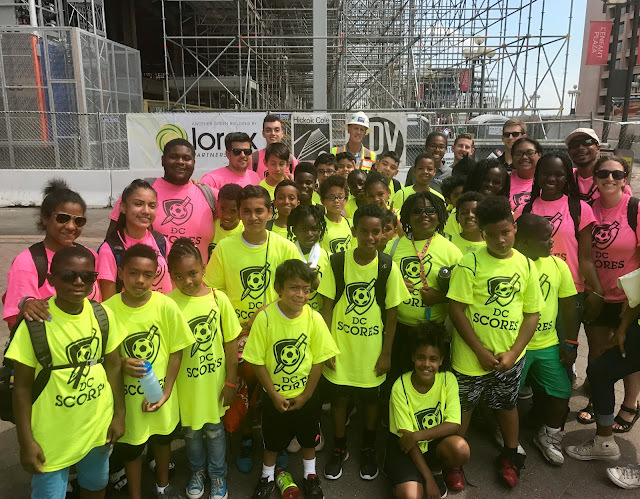 Thank you again to our longtime partner and current reigning DC SCORES Cup champions, Clark Construction, for spending the afternoon with the Truesdell campers.